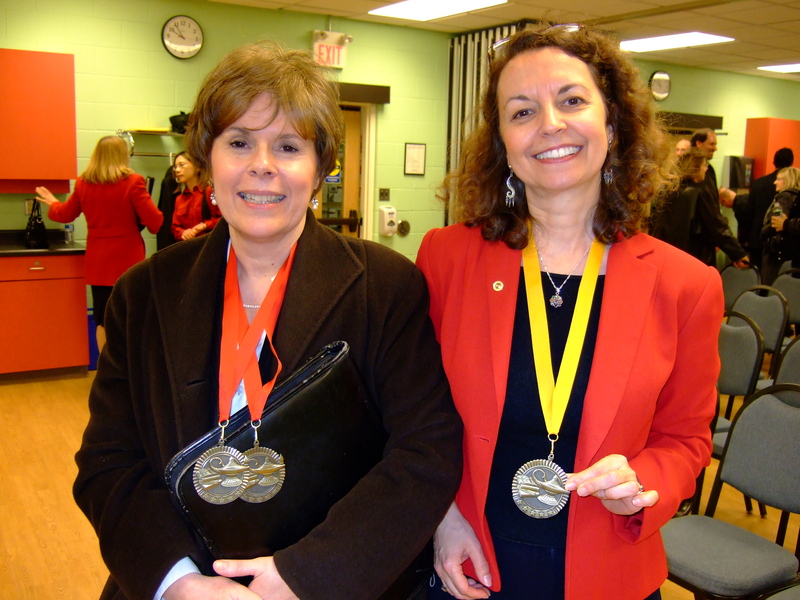 Mentoring is an important part of Toastmasters offering benefits for both the new Toastmaster (the mentee) and the more senior Toastmaster (the mentor). 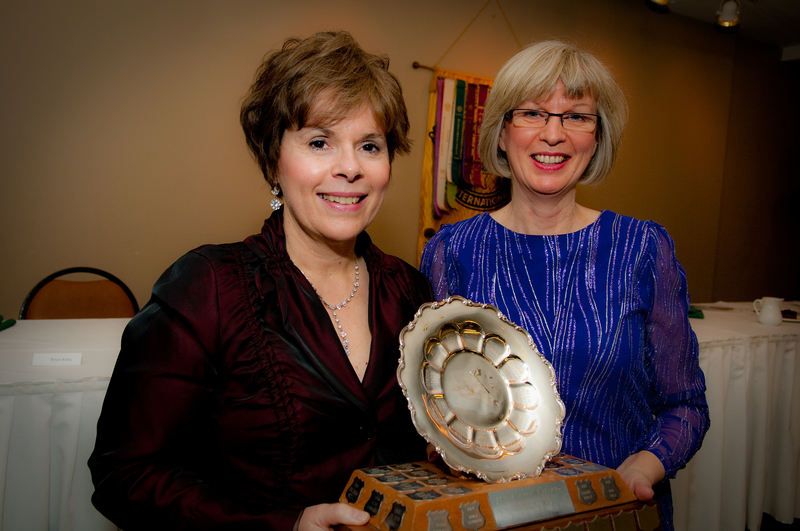 The mentoring program at First Oakville Toastmasters has always been an important part of our educational program and has grown in significance as the club reaches historical high numbers of new members. There is no obligation to have a mentor however most of us have found the experience both helpful and reassuring for both the mentee and the mentor. The Toastmaster International educational program is one that requires much from the participant but gives back much more in return. Having a mentor with whom you feel comfortable in asking questions will speed up and smooth out your Toastmaster experience. This document was prepared at the suggestion of a group of senior Toastmasters who met one Saturday morning in April 2012 to discuss how we, as seasoned club members, could better mentor new members. This special meeting of senior Toastmasters was called by the club’s Vice-President of Education. It is part the role of the Vice-President of Education to assign mentees to mentors. As a result of the April discussion, a recommendation from this Special Committee was forwarded to the club’s executive calling for the formation of a Standing Committee on Mentoring. As well, this document was produced by Toastmaster Peter West and have been revised by him (Oct. 2014). If the recommendations from the Special Committee are accepted by the executive, it is likely that the Mentoring Standing Committee will be formed and asked to meet at least once a year and maybe composed of all the current mentors in the club. 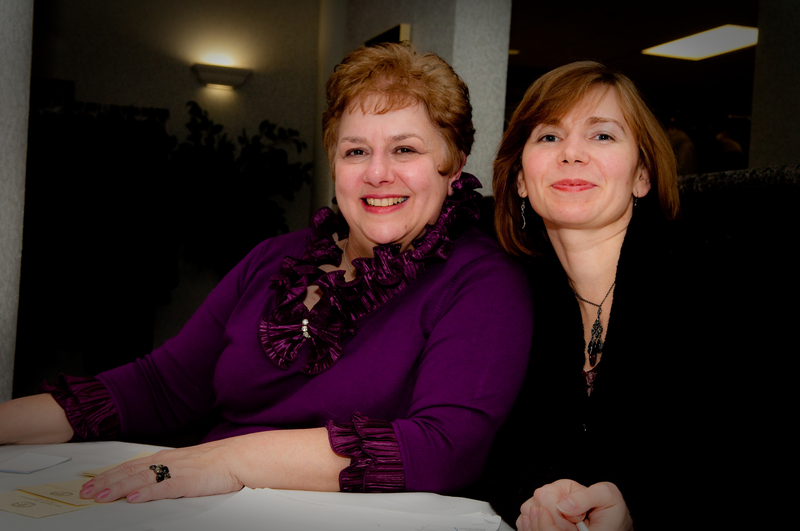 As the club membership currently approaches 60 members, we have many, many mentors and mentees. Regardless of whether or not the Mentoring Standing Committee is formed, this document, which offers an introduction to Toastmasters, includes information you may find helpful in becoming more comfortable and active in participating in club activities. Toastmasters International offers an educational program that focuses on public speaking, listening and leadership skills. Toastmasters International is a nonprofit educational organization that operates clubs worldwide for the purpose of helping members improve their communications, public speaking and leadership skills. Today there are an estimated 270,000 members in 113 countries and 13,000 clubs. 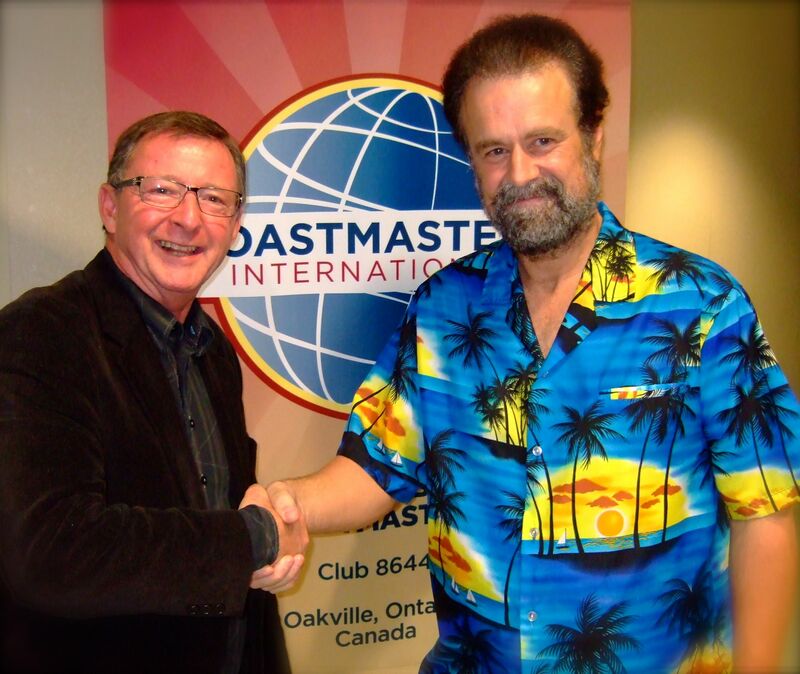 First Oakville Toastmasters received a club charter from the international organization and has been conducting weekly meetings for over 50 years. It is one of the oldest and most successful clubs in Toastmasters and we welcome you to join us as we practice the skills we’ve learned by participating in the Toastmaster educational program. Welcome to your Toastmaster experience at Toastmasters Club #2245. 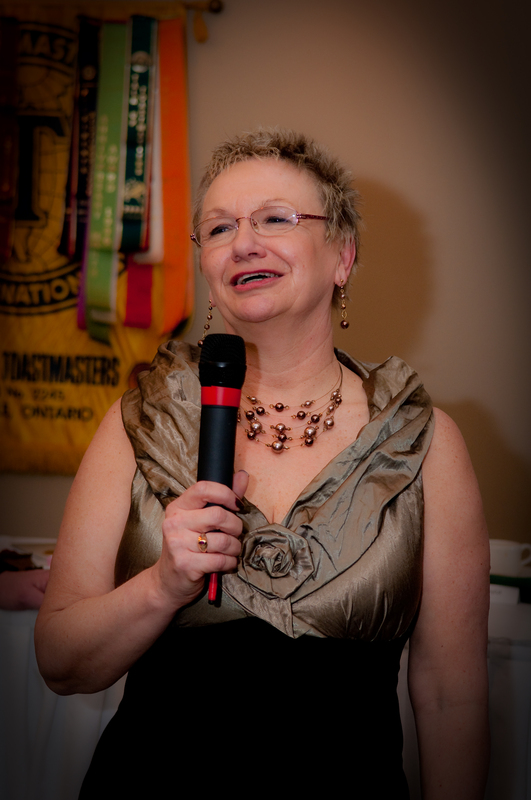 Your Toastmaster experience starts before you become a member. Everyone is invited to attend three Toastmaster meetings as guests before making an application to join. Please arrive at your first meeting about 10 minutes early. Our meetings start at 7:30 p.m. every Thursday. 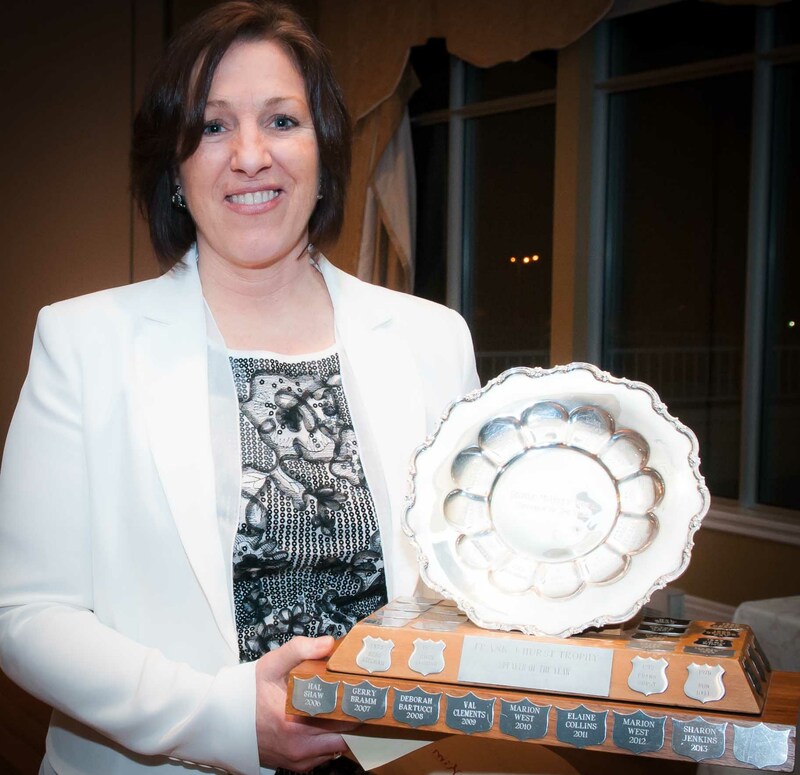 The Toastmaster season begins in September and ends in June and there are summertime meetings hosted by clubs in the local Oakville/Burlington area. 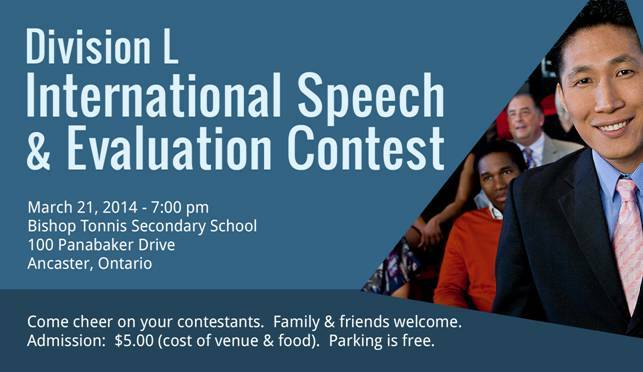 In addition to the weekly meetings there are also two provincial conferences held in Ontario each year as well as annual regional conferences and the Toastmaster International conference during which the winner of the World Championship of Public Speaking Contest is determined. At your first meeting, you will be introduced by one of the Toastmaster members seated near you. During the meeting you may participate in voting for best Table Topics speaker, best evaluator and best speaker. You may also offer written comments to the speaker on the form provided. If you have any questions, any Toastmaster will be pleased to answer them and show you how to complete the voting and comment forms. Many guests express concern that they have no experience offering an evaluation and we suggest you offer a positive comment about something you enjoyed in the speech or the delivery. You may gently offer a personal suggestion which would make the speech even better in your opinion and end with another positive comment. The speakers for the evening will appreciate your comments and use them to improve their future speeches. Your personal opinion is as valuable as anyone else’s. We are not professional evaluators but simply share what we liked and what we think might make for an even better speech next time. During the business session guests normally don’t participate and are not allowed to participate in voting on any matter. Occasionally a guest, such as a Toastmaster from another club, the Area Governor or a District officer who is attending the meeting, may wish to add a comment or make a report but the club members in attendance must first agree to allow them to participate. 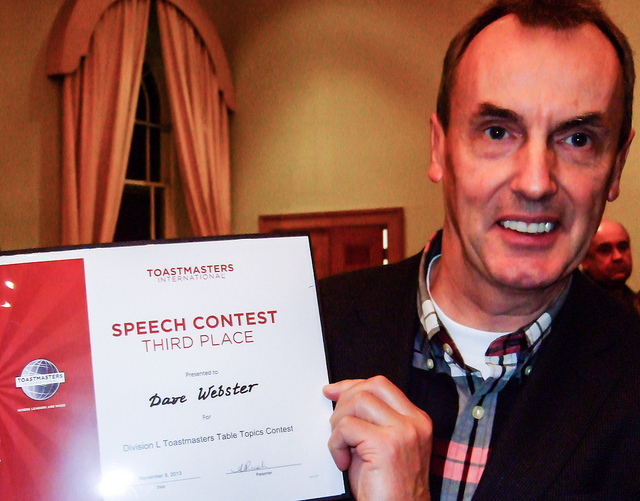 By the end of the night (around 9:30 p.m.) you will have experienced your first Toastmaster meeting. But before we adjourn for the night, the Chair will ask you for a comment about the evening. Please rise and let us know how you enjoyed your evening. A few gracious comments will go over very well. With that, the Chair will adjourn the meeting and we will look forward to seeing you again next week. Before you leave, make a connection with the club’s Vice-President of Membership who can provide additional information about how to join the club. If the VP of Membership is absent that week, they will most likely be in attendance at the next meeting or another senior member of the executive would be pleased to answer any questions you might have. Membership in Toastmasters International is a privilege. As this is a private organization, all candidates for membership are voted in by the members of the club that they are joining. Many people who wish to join Toastmasters do check out different clubs which meet on different nights and locations in the Oakville area. Each club is different and, while the Toastmaster program is the same, each club approaches the educational program in their own way. Once you’ve made up your mind which club to join, talk with the Vice-President of Membership who will provide you with the appropriate information about costs and procedures. After payment has been secured, your membership request will be voted upon by the club members during a business session at an upcoming meeting. As this is a private vote of the club, you will be escorted out of the room by the club’s sergeant- at-arms. A few moments later you will be asked to return and the result of the vote will be declared. 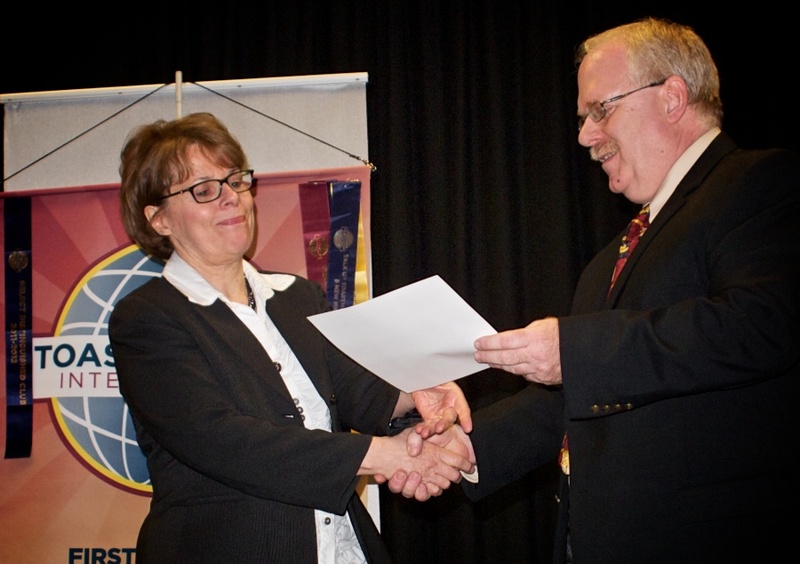 As a new member, you can expect to receive your first speaking manual from Toastmasters International in four to six weeks. 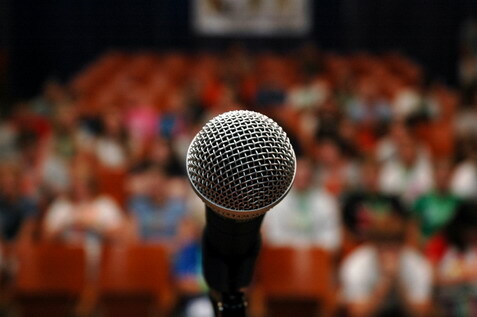 If you’re really keen on speaking, there is a document available from the VP of Education that has information on the first three speeches which you can use to develop your talks in conjunction with your mentor. 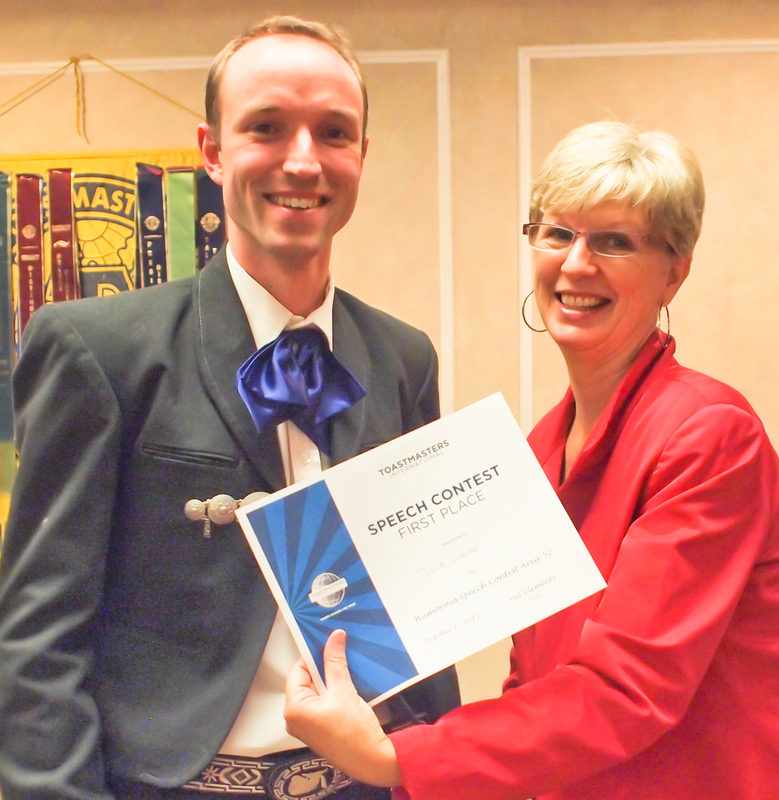 The basic speaking manual that you will receive from Toastmasters International has 10 speeches for you to deliver. The manual sets objectives for you to reach while you supply your own content. For example, one of the criteria could be to reduce your nervousness when speaking. The manual will contain suggestions on how to accomplish this objective. Your first speech, called The Icebreaker, allows you to introduce yourself to your fellow club members. Timing is always important when it comes to speaking and this speech has a timing objective of four to six minutes. There’s a timing signal device that you will be able to see that will help you end within time. But before you begin speaking, there are other roles that will help you to get to know us better and to introduce yourself to your fellow club members. 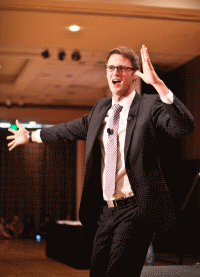 Each role in Toastmasters is of equal value and importance to you as you develop as a speaker. While some roles require substantial experience and skill, many are available to you on your first night. Once you are a member, your name will be added by the VP of Education to the club schedule and membership list. If you are unable to fulfill a scheduled role it is your responsibility to find a replacement. If you know you will be unavailable on a specific occasion in the future (such as vacations or business trips) let the VP of Education know and you won’t be scheduled for any roles during that time. As a member of First Oakville it will be your responsibility to find a replacement if for any reason you find you can not fulfill your role on the agenda for the upcoming weekly meeting. As ours is an educational program and not solely a social one, if you do not fulfill your role or find a replacement all of your fellow members are adversely affected by your actions. Should you find that at the last minute due to work or family issues that you are unable to fulfill your role DO NOT send an email to every member of the club but look at the agenda and appeal only to those who do not have a role for the evening. Phone calls to selected members works even better. If, in the even of an emergency, all else fails contact your mentor for help and guidance. Do not just abandon your responsibility to your fellow club members and hope that someone else will take over. Members who habitually (or even occasionally) do not show up to complete their role and who do not find replacements can have their name removed from future agendas by the club’s vice president of education. The VP of Education makes the schedule 90 days or more in advance of the meeting so please remember to communicate any changes far enough in the future. You may also ask the VP of Education to increase or decrease the frequency of your speaking or the taking on of roles. While some new Toastmasters have completed the 10 basic speeches in rapid progression, we recommend you consider speaking at a rate that works best for your personal educational development. 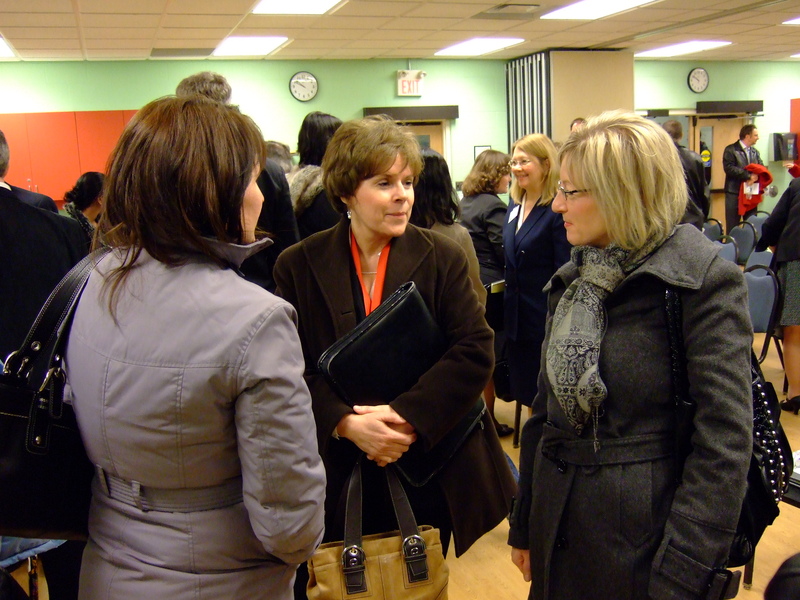 As greeter, you should arrive a half-an-hour prior to the start of the meeting. At our club, the two greeters for the evening stand at the font door of the room. Since you’re new, nobody is going to expect you to greet everyone by their first name. Toastmasters arriving for the meeting will approach you and shake your hand. Please introduce yourself by your first name and ask them for their name. In this way you will introduce yourself to your fellow members while getting to know their names. At two minutes before the start of the meeting, your role is completed and you may join your fellow members for the meeting. This is an important role. It is the job of the person introducing the Chair to first gather some relevant information about the Chair for the evening. The introduction should be kept short but it should set a tone for the meeting. If nothing else, smile as you make your introduction. Thirty seconds is plenty of time to introduce the Chair. Do not proceed until all the members are seated and quiet. You may have to bang the gavel again but don’t over do it. You may have to speak very loudly to be heard over the crowd but do so and persist until the assembly comes to order. It is important to start on time regardless. When you introduce the Chair, save saying their name until the end. This builds some suspense into your introduction. 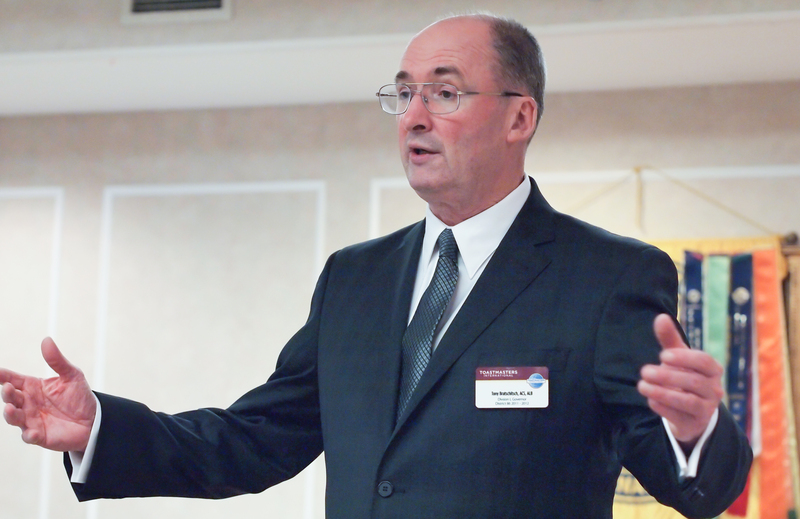 Most introducers start by saying something like: “Tonight’s chair is a long-time Toastmaster who….” and they end with “Please help me welcome our Chair for this evening’s meeting Joe Smith.” Then you lead the applause by example. Wait at the lectern (It’s not called a podium. A podium is actually a raised platform on which a lectern is placed.) until the Chair arrives and shake their hand and then return to your seat. Never leave the lectern unattended. If you must step away ask another Toastmaster to stand at the lectern until you return. This is an important part of protocol when running a meeting. The grammarian picks a word for the evening that he or she encourages all members to use. The word should be positive and most members find adjectives easy to use. Avoid arcane words or words which are rarely used in regular business conversation. As grammarian, introduce your word by talking about its origins and giving us an example in a sentence. At our club, the grammarian also puts the word on a piece of paper which is displayed by the Chair at the lectern and on pieces of paper taped around the room. During the evening keep track of the number of times the word is used. During your short one- minute report, which comes at the end of the evening, you may also comment on outstanding or wanting uses of the English language. In some clubs, the grammarian counts hums and other affectations but historically we have not as there is some thought that focusing on problems accentuates the issue rather than make it better. We appreciate a jest which is family rated (although this is a debated criteria) and again is short. 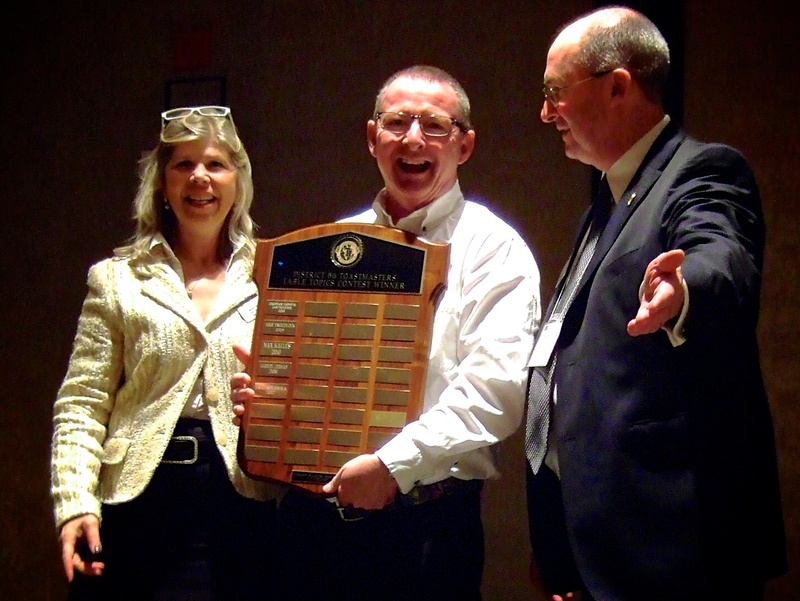 One minute is plenty of time to tell a humorous joke that is appropriate to a Toastmaster audience. The jest is a short opportunity for another member of the club to have a speaking role on the agenda. The toast is trickier than it looks. Your toast should be to a Canadian who has made a positive contribution to Canada or the world. Your description of your honoree should again be short (30 seconds to one minute) and only mention the appropriate highlights that make this candidate worthy of a toast. Do not list every accomplished that can be found and try not to just read something you’ve printed off the Internet. “A toast to,,,” and now clearly state their name…”Joe Smith”. The assembly will repeat the name and then drink from their glasses and then everyone sits down and applauds your toast. 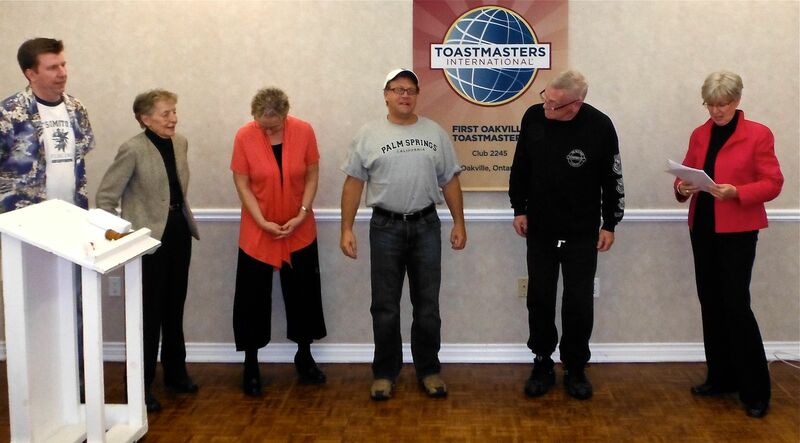 The Table Topics Master creates a mini-impromptu speaking contest for the members. Prior to the meeting, the Table Topics Master writes out five questions that related to the theme of the evening (which is picked by the chair) and seals them in envelopes. Before the meeting starts, the Table Topics Master picks five people to participate in Table Topics and hands them one of the envelopes. While there is no rule about this, normally Table Topics participants have no other speaking role that evening. Some Table Topics Masters attempt to group Toastmasters of similar experience or skills for the contest. Guests maybe asked or volunteer to participate in Table Topics. A few have even won. When it is time for Table Topics, the Chair will ask the Table Topics Master to take the lectern. When the Table Topics Master arrives at the lectern, the Chair will shake their hand and then sits down. The Table Topics Master then asks the first participant to open their envelope. As they do so the Tabe Topics Master explains the theme for the Table Topics and gives the Timer the timing instructions of one minute for green light, one minute 30 seconds for orange and two minutes for red. All participants must speak for a minimum of 30 seconds and no more than two minutes 30 seconds to qualify for voting. Table Topics speakers rise and speak from their place at the table and do not approach the lectern. This saves time and lessens the formality of this mini-contest. Before Table Topics participant number one is asked to stand and read their question, Table Topics participant number two is asked to open their envelope and read their topic silently to themselves. This sequence is continued until all five participants have completed their talks. At the conclusion, the timer is asked for their report. If any speaker speaks less than the allotted time (30 seconds) or goes over time (more than 2 minutes 30 seconds) they’re declared ineligible for voting. Since a major criteria for this contest is correct timing, it is the responsibility of the Table Topics Master to enforce this rule. We mentioned the timer’s role above so here’s what it’s all about. In Toastmasters timing is everything. We keep to our agenda and its timing in our meetings so that we learn how to do this in our business and in other groups. You can always tell if a business or conference meeting Chair has been a Toastmaster by the precision of their timing. Being the timer requires a great deal of attention to what’s happening during the evening. The timer will be asked to time Table Topics, the business session, the speeches, the evaluations and anything else that the chair or another official requests be timed. The Timer will be asked to report on the timing of various speeches. When the Timekeeper does so, they rise, say the name of the Toastmaster and give the timing. It is not their job to comment or make a decision on eligibility of anyone who is timed. That’s the role of the Toastmaster or the General Evaluator. We use a stopwatch and a lighting display. The display is a manual device that requires timers to manually reset (turn off) the red, green and orange lights. Remember to reset the timing lights after every useage. Timing appears simple enough but most of us struggled as timers the first time or two. Check with your mentor on how to handle the timing job if you’re unsure. If, during the meeting, you are unsure of the timing request, rise and ask for clarity. The Quizmaster creates four or five questions that check the listening skills of the members. Questions should’t be too easy nor should they be overly complex or difficult and pertain to events of the evening. 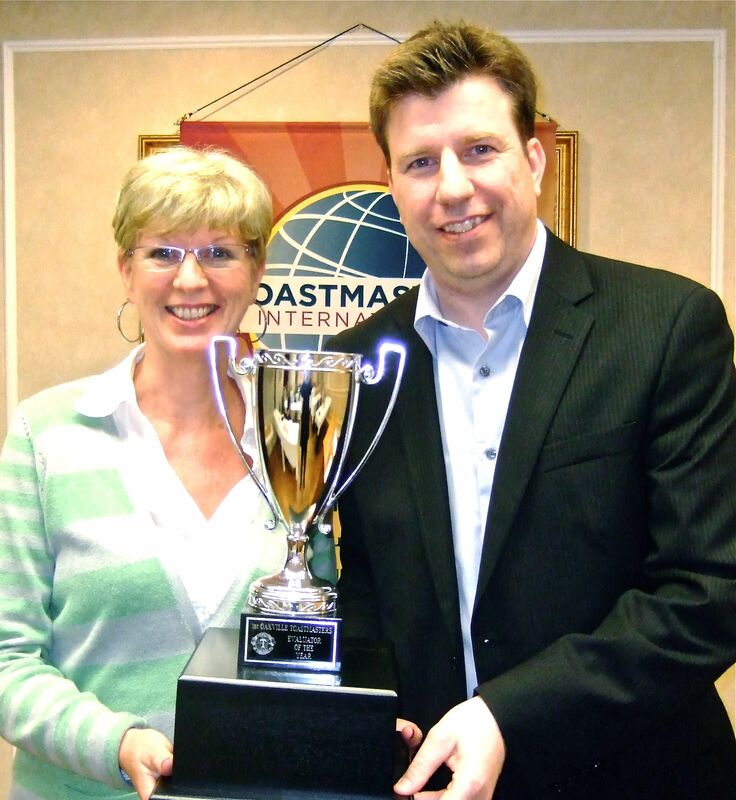 The best Quizmasters pick individuals to answer a question directed at them and discourages answers being shouted out from eager Toastmasters. After the quiz, the Quizmaster reports on the percentage of correct responses. Sooner or later comes the day when you’ll be giving your first speech. Ask your mentor (who will be assigned to you by the VP of Membership) for help as well as use your manual to produce a speech that will meet the objectives. Your speeches can be delivered from the lectern with notes but you will soon find that speaking without notes with no lectern is so much more effective and even fun. If you memorize your opening and closing, then tell three stories that illustrate your point and end with your memorized snappy ending you won’t need notes. Don’t allow your nervousness to rush your delivery. Practice speaking slowly which adds impact to your important points. In this way, you’ll need much less content to fill the time and your speeches will wow your audiences. If you don’t say you’re nervous, nobody will know. Honest! And if you forget something, don’t tell anybody. They won’t know this either. Finally if you see the red light, find a way to end immediately, so you end on time. A speech that goes overtime is ineligible for voting. All of the speeches for the evening and the evaluations are recorded and posted inside a private, secure DropBox folder that is accessible by invitation only to any member of the club. Each week, as a member, you’ll receive an email notification that the videos have been uploaded to the DropBox folder. Should you wish an invitation to view the files, just ask the sender of the email to send you an invitation. After you’ve done at least six speeches, it’s time to try an evaluation as assigned by the Vice-President of Education in the club schedule. Evaluators evaluate the speech according to the objectives as stated in the manual. The speaker will give their manual to the evaluator to complete the evaluation report prior to the speech. To help you understand the objectives of the speech, it’s recommended that you contact the speaker prior to the meeting to determine which speech they are giving and to get the objectives for the speech. While all Toastmaster manual speeches have written objectives, you may also ask the speaker if there is something they would like you to look for in their presentation. Some evaluators add a structure to their evaluation. Some people evaluate according to what they saw, felt and heard. Others use the International Speech format of delivery, language, content. But regardless of the form used, it’s essential to evaluate based on the objectives of the speech and to mention them in your evaluation. Evaluations must be positive. An overly harsh evaluation can be devastating. Also, experienced evaluators gauge the depth of their evaluation based on the speaker’s ability and experience. Above all remember, as an evaluator you hold the esteem of the speaker in your hands and all evaluators must be very respectful of how they comment on the speech and the speaker. For the most part evaluations that start off with a compliment, include a personal recommendation and end with a complement are very well received and most helpful. The Chairperson’s role is pivotal to the running of a successful meeting. 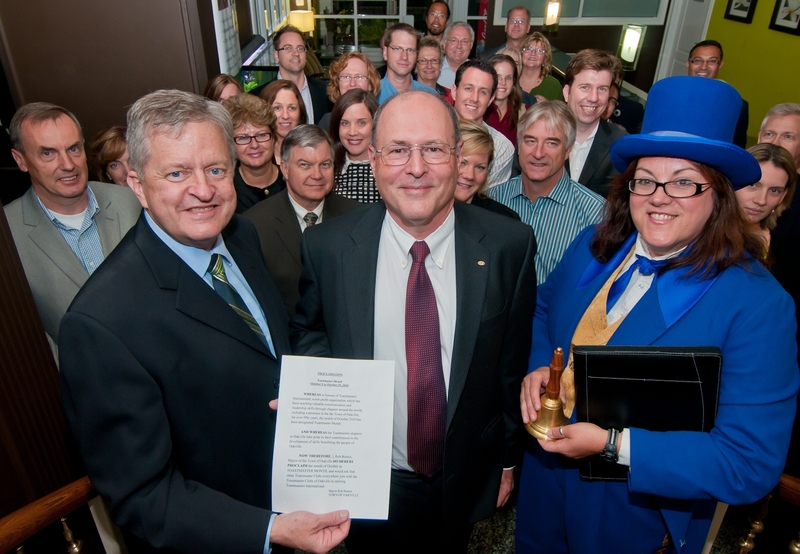 It is one of the most challenging jobs on the Toastmaster agenda and should’t be attempted until you have completed all the other roles in a meeting. The Chair’s first responsibility starts well before the meeting itself. The Chair uses the VP of Education’s schedule to pick a theme, design their agenda and assign the appropriate Toastmasters to their roles. It’s up to the Chair to contact the officers for the evening to ensure their attendance prior to the meeting earlier in the week. 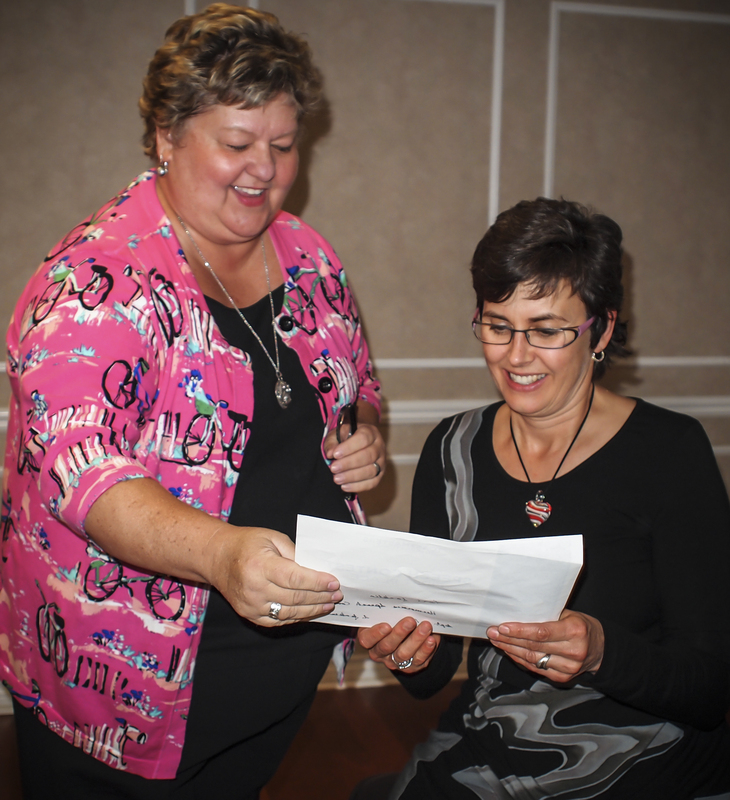 Officers to be called include the greeters, the introducer, grammarian, quizmaster, jester, toast, Table Topics Master and the Toastmaster and General Evaluator. 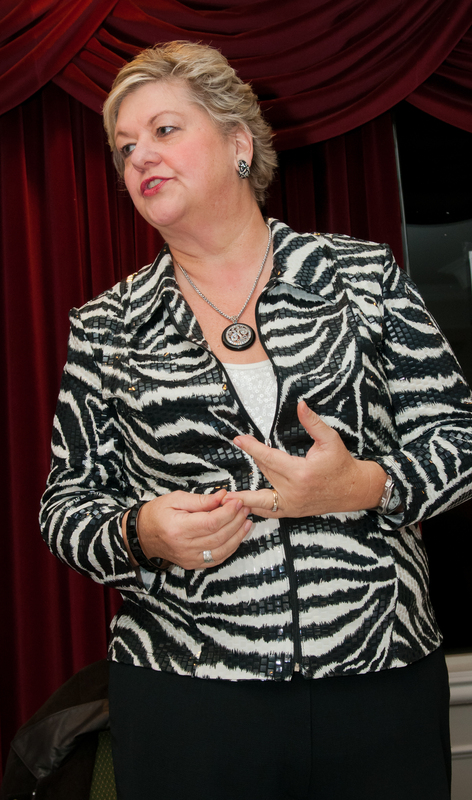 The Toastmaster confirms the speakers and the speaking order and informs the Chair and General Evaluator (GE). The GE confirms the evaluators and informs them who they will evaluating and encourages them to contact the speakers prior to the meeting to determine if there are any special requests when it comes to evaluations. (The GE will pay particular attention to matching the skills of the evaluator to those of the speaker.) All this happens prior to the meeting so that the Chair has time to create and print an agenda. The Chair creates a printed agenda and distributes it before the meeting. Depending on the night, a Chair might need as many as 35 or 40 copies distributed. 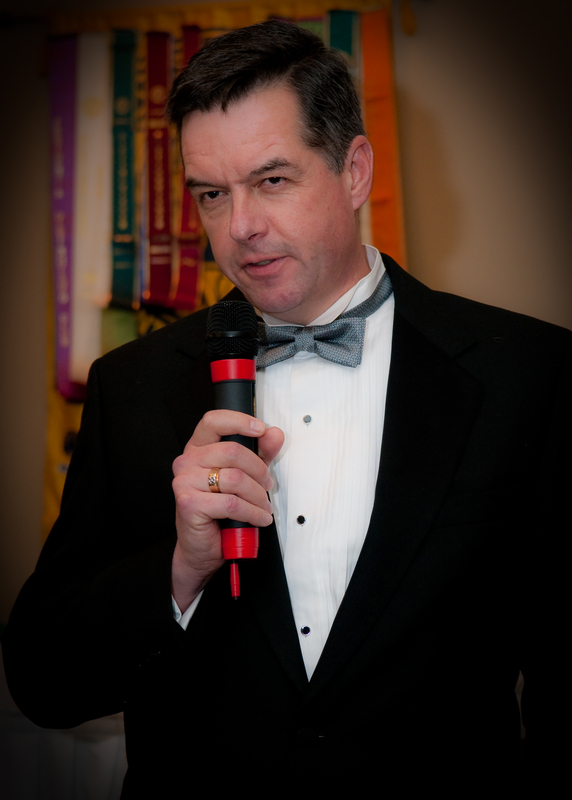 Following their own introduction, the Chair introduces the officers of the evening, has any guests introduced by a Toastmaster, has the grammarian give their word of the evening, gets the jester to tell their joke and has the toast to a famous Canadian completed. The Chair then introduces the Table Topics Master and then takes a seat in the audience. Following Table Topics, the Chair returns to the lectern, thanks the Table Topics Master and starts the business meeting with a bang of the gavel. In our club, as in all democratically run organizations, we govern ourselves using Robert’s Rules of Order. 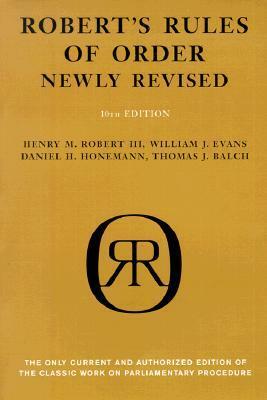 Robert’s Rules of Order ensure the rights of minority to be heard and the right of the majority to govern. By using Parliamentary Procedures, we practice how to work together to conduct club business in an orderly and efficient manner. Newcomers often question the need or benefit of conducting a timed business session at every meeting. The argument is occasionally voiced that this has nothing to do with public speaking. 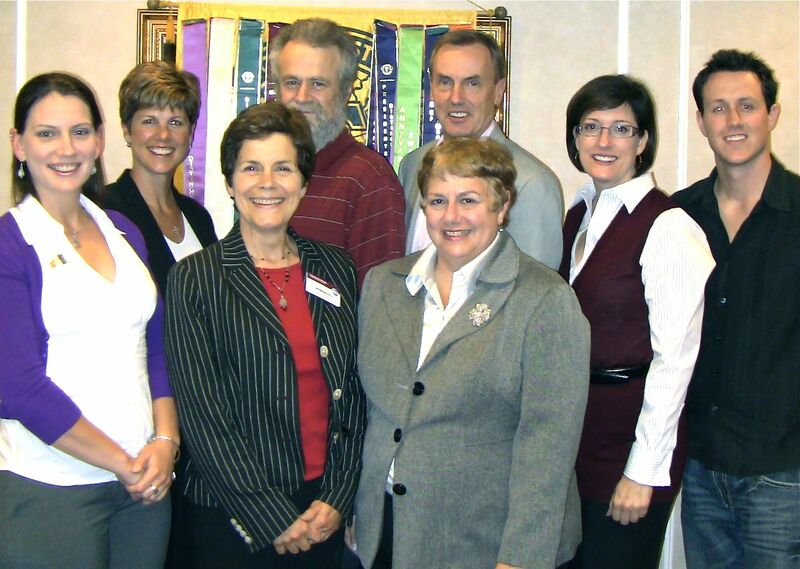 After a Toastmaster has been with the club for a year or more or has had the need to participate in meetings outside of Toastmasters such as school boards, non-profit organizations, service clubs, hobby groups or any level of government, they understand the importance of the business meeting. The very best and most successful Chairs understand that their role is to facilitate the will of the majority while maintaining the opportunity for the minority to participate and be heard. This takes great skill and tact. Any Chair who attempts to overly control the assembly or to express their own agenda finds themselves in very stormy waters very quickly at our club. However, any Chair, even a first-time Chair, can lead the club through a productive and enjoyable meeting by remembering their role is to serve and not govern. The Chair can always ask their Parliamentarian for help when it comes to proper procedure. The first item in a business session is the reading of the minutes from the last meeting. The minutes of the last meeting, when accepted by the members, becomes the legal, written record of the club. So the Chair asks the club’s secretary to read the minutes and at the end of the reading asks for any errors or omissions. If such are offered and accepted, they are incorporated into the minutes and the Chair then accepts the minutes as corrected (not amended) with a bang of the gavel. set of minutes to be read, they need be read and accepted individually. Once the minutes are read, it’s the Chair’s decision whether to ask for business arising from the minutes which is the normal way to do things but if there is a previous motion still on the floor from the last meeting it might be best to hold off and first ask for executive reports. As Chair you should have asked the executive before the meeting as to whether or not they had a report. This looks better than asking it there are reports from the lectern. There’s a saying that a Chair gets away with what a Chair gets away with. In other words, it’s your agenda when you are the Chair. If you do or say something that is objectionable or incorrect and nobody objects you can happily move on with your agenda. Your executive members will give short reports and you should ask the assembly if there are any questions arising from the reports that should be made through you to the executive member. If not, you then proceed to either business arising from the minutes or new business. If there is business arising, ask the secretary to read the motion that is outstanding. If the mover is present it is often a good idea to ask them to speak again very briefly to their motion in order to get the discussion underway and to remind everyone about the issue on the table. If you are moving to new business, do so with a bang of the gavel and ask your timekeeper for a specific amount of time that matches the timing on your agenda. Remember to leave a few minutes for the Parliamentarian’s report. Following the Parliamentarian’s report, you will call for a break stating the time to return and banging the gavel again. It won’t serve you to guess and nobody has the time to learn all there is to know about Parliamentary Procedure so most new Parliamentarians make it a point to sit beside one of the more experienced Toastmasters who are more comfortable with Robert’s Rules. In this way the new Parliamentarian can learn the role while being firmly supported by the more experienced Toastmasters. One ploy a Chair in trouble may use is to ask their Parliamentarian to stand. Parliamentary Procedure demands that all other members remain silent when the Parliamentarian is on their feet. The Chair will then ask the Parliamentarian for their opinion on what they should do next or ask for an interpretation of Robert’s Rules. Often this ploy helps a Chair to regain control of an unruly discussion. If silence is not forthcoming then the Parliamentarian does not proceed but remains standing and allows the Chair to bring the assembly to order before proceeding. It is not the Parliamentarian’s role to call for order. If necessary the Chair can ask for the assistance of the Sergeant-At-Arms. It is also not the Parliamentarian’s role to side with the Chair or anyone else. The Parliamentarian is to remain neutral and above the debate. If, as Parliamentarian, you do not know what to do next then it is quite permissible to ask another member to assist you. Do not throw the question out to the crowd but ask a specific person. Ignore advice that is shouted out. As Parliamentarian, you will be asked to give the Parliamentarian’s report at the end of the business session. This one- to two-minute report focuses on how successfully the Chair conducted the business session. Following your report, the Chair will ask for any questions of the Parliamentarian. If you’re asked a question that you don’t know the answer you may, again through the Chair, ask another Toastmaster to assist you. And again do not put the question to the assembly as you’ll likely get a bunch of opinions of dubious value. Following the break, the Chair will restart the meeting and introduce the Toastmaster. Before you take on the role of Toastmaster, it is recommended that you have completed at least six speeches with 10 being preferred. The role of the Toastmaster is to offer a toast. The preamble to the toast should be short (again one minute is plenty) and it should compliment the theme of the evening. After the toast, the role continues as the Toastmaster quickly, efficiently, yet warmly gets the three speakers up to speak in the order they are listed on the agenda. The Toastmaster should not show preference of one speaker over another and should have something encouraging or welcoming to say about each speaker. Prior to asking the speaker to the lectern, the Toastmaster asks the speaker’s evaluator to read the objectives and timing of the speech. The Toastmaster confirms that the timekeeper is prepared to do the correct timing. After each speech the Toastmaster gives the group a minute or so to fill out their evaluations and then gets the next evaluator to read the objectives of the next speaker’s speech. It is important to keep this part of the meeting moving forward. At the end of the speeches, the Toastmaster asks for the timing of the speeches. If any speaker does meet the timing requirement it’s up to the Toastmaster to disqualify the speech from the voting process. Again, we take timing very seriously as a timing error of even a second or two at a Toastmaster speaking competition disqualifies the competitor. At the end of the timekeeper’s report, the Toastmaster introduces the General Evaluator. After the GE’s report and reports from the quiz master and grammarian, the Toastmaster returns to the lectern to give out the ribbons for the evening. Arguably the most challenging of all the roles, it is up to the General Evaluator to introduce the evaluators, get the officers of the evening’s reports and offer an evaluation of the overall meeting plus give it a rating (A.B.C,D). The General Evaluator should have completed every role offered during meetings and have completed at least 10 speeches. When introducing the evaluators, the General Evaluator also ensures that the timekeeper is prepared to give the green light at two minutes, the orange at two minutes and 30 seconds and the red light at three minutes. Any evaluator who speaks less than one minute 30 seconds or more than three minutes 30 seconds is disqualified from voting for best evaluator by the General Evaluator. Following the evaluations and the reports from the quizmaster and the grammarian, the General Evaluator gives a three- to four-minute report. Five minutes really should be tops and only asked for in meetings which are running under time. The best GE reports are therefore short but useful. Saying you were warmly greeted as you arrived and then commenting lightly on every role is less helpful than pointing one or two positive outstanding moments and offering a comment or two about how to improve another aspect of the meeting, followed by your rating of the meeting. You then return control of the lectern to the Toastmaster for the awarding of the ribbons for excellence in Table Topics, evaluations and speaking. Then the Toastmaster turns the lectern over to the Chair for guest comments and any comments for the good of Toastmasters. At our club we hold a 50/50 draw open only to members prior to adjournment which is called with the bang of the gavel.